Last month, India faced what is purported to be the 5th deadliest heat wave on record for the planet, killing more than 2,300 people! Studies have shown that heat waves and temperature extremes in general will be exacerbated by global warming (see here, here, and here for example). Thus, it would be prudent to anticipate how bad these heat waves will get in the future. This year is predicted to be a strong El Niño year, comparable to the juggernaut 1997-98 event, when India had its deadliest heat wave till date during May-June 1998. As during the '97-98 Niño event, most of the worst-hit areas were in the southeastern states of Andhra Pradesh and Telangana. Here, as well as throughout most parts of India, May is the hottest month of the year and is hence most conducive for heat waves. However, unlike other parts of India where the southwest monsoons bring rain and respite with its onset during June, southeastern India gets most of its rainfall during the retreating monsoon season (typically during northern hemisphere winter). Rainfall in the southeastern parts of India mainly derive from the retreating monsoon, peaking during October, while temperatures peak during May, typically when heat waves occur. Thus, summer monsoon rains cannot be depended upon to always alleviate May heat waves in southeastern India. 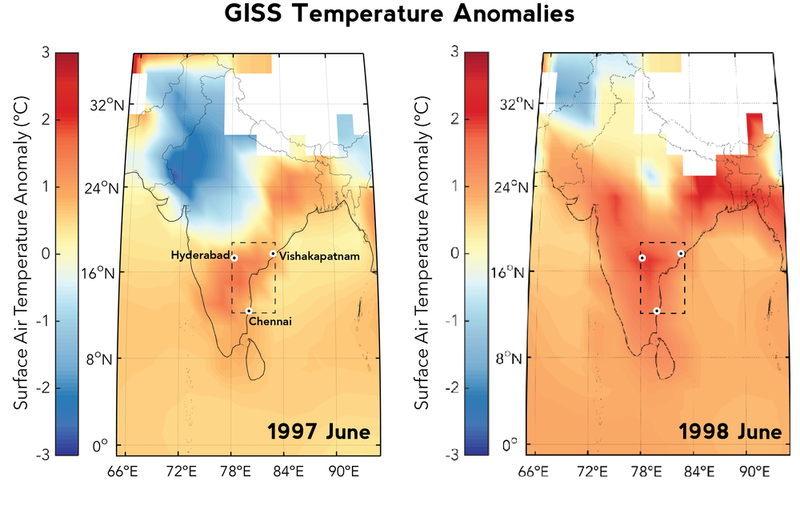 In June '97, a full year before the devastating heat wave, the southeastern coast of India was already anomalously warm (see below). May-June '98 was when the full brunt of the heat wave hit. With this being the case, and 2015 being analogous to 1997 June (prior to the Niño), are we to expect a worse heat wave next year? Monthly anomalies (black) and annual anomalies (colors). The summer months of May-August all seem to be warming anomalously, and will exacerbate already-warm daily temperatures. 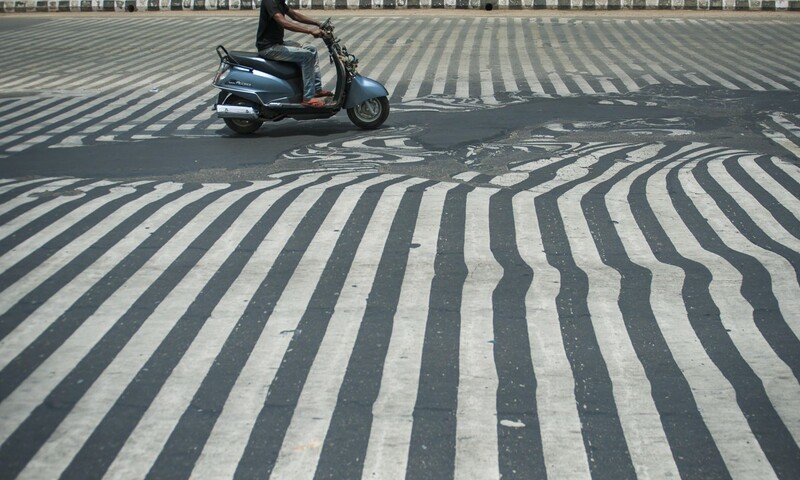 Take-home message: The Indian heat wave we saw this May is certainly not the worst to come in the coming years. Action and measures to deal with the heat must be taken appropriately. I wouldn't be too surprised if next year brings a scorcher.